It's nearly impossible to discuss the history of rock music without praising the monumental quality, impact, variety, and boldness of Britain's Jethro Tull. Named after an eighteenth-century agriculturalist - and not after their striking frontman Ian Anderson - the group almost immediately became one of the most ambitious, and significant acts in two subsections of the genre: progressive rock and folk rock. Officially formed in 1967, mastermind Anderson and company initially forged a blues course before veering in a more diverse, and expansive direction. Their early 1970s period - which is often considered their peak-took them close to progressive rock via iconic album cuts like `Aqualung' and lengthy narrative suites like Thick as a Brick and A Passion Play. 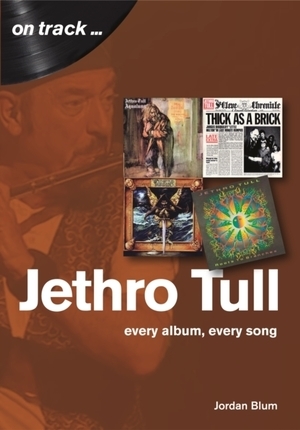 Moving album by album, this book will examine the behind-the-scenes circumstances and motivations for each release via a track-by-track analysis to acutely observe why Jethro Tull were - and always will be - of invaluable benefit to rock music.